Denim is a girl's best friend. A faithful companion for every age and every situation. Originally designed as a hard-wearing cloth for workers and sailors, denim ( short for "Serge de Nîmes" ) found cult popularity in the USA in the second half of the 19th century with gold diggers and cowboys. Today it's a mainstay of wardrobes across the world. 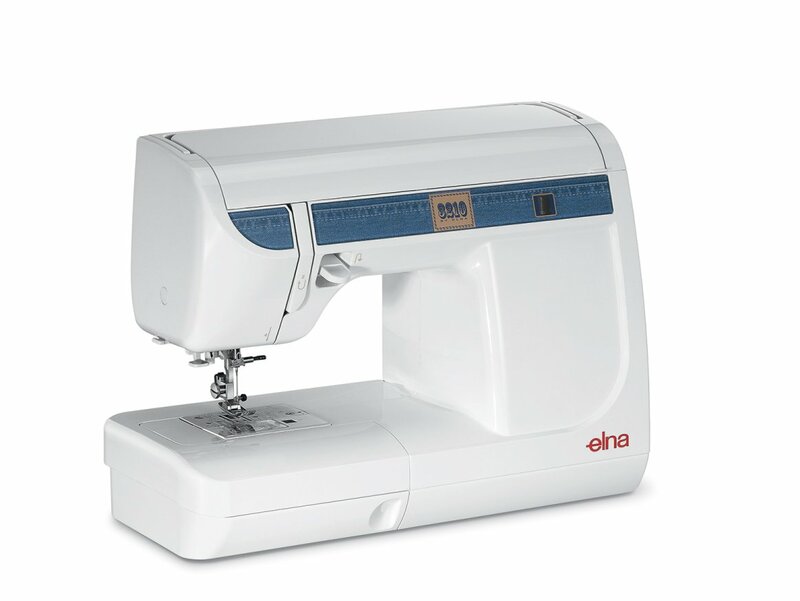 With the Elna 3210, take denim and shape it into something really special. The Elna 3210, like denim itself, is tough, reliable, easy to use, and built to work with even the heaviest materials. Because people love to marry denim and frills, the Elna 3210 is also kind with delicate fabrics too. Whether you are making an outfit totally out of denim, using it to make tiny details, or combining it with other fabrics, this machine can handle it! Whether you're a trendy western girl or a hip romantic...If you love it for your accessories or for your ornaments...Stone-washed... Distressed... Clean-cut .... It doesn't matter how you wear it,denim is always stylish!